Hello lovlies! I thought I would get crafty this Sunday. It is a rainy day in Southern Missouri, and what a better way to spend it than getting inky. 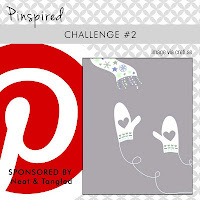 After all, like I mentioned in yesterday's post - I am trying to get back in the crafty groove again!! 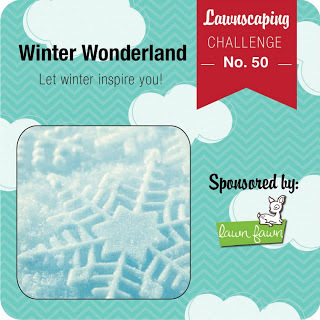 So - today I am here to share with you my card that I am entering into the latest Lawnscaping Challenge, and also entering the next Pinspired Challenge. I kept it fairly simple. For some reason, I always think I have to make something spectacular to get noticed in these challenges - which don't get me wrong - I like most of the time, because it stretches my creativity, but I also have to keep in mind that sometimes simple is just as good!!! It is just the way I am!! 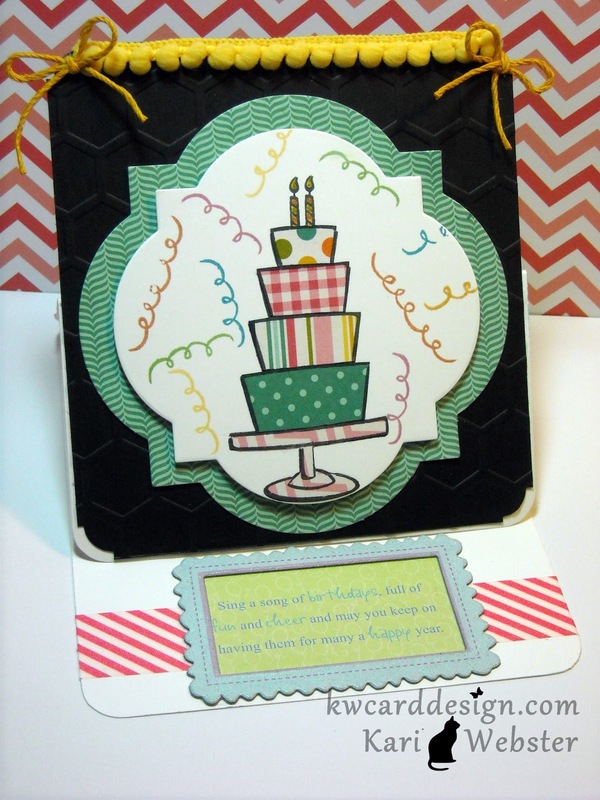 I used some of the pattern papers from this 6x6 paper pad. 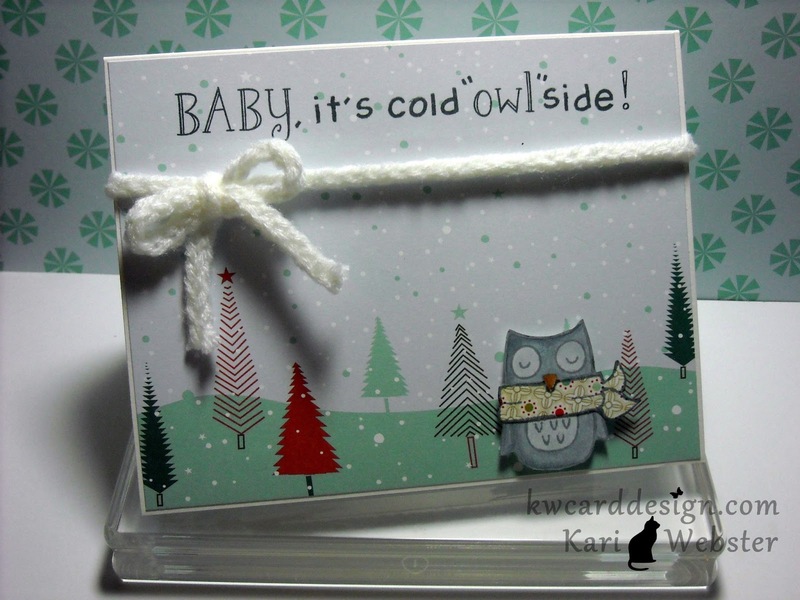 I stamped out my image from Lawn Fawn's Winter Owl stamp set. This is the first time that I've inked up this cutie!! I used this ink, and then I did some Copic coloring. I paper-pieced the scarf of the owl using some scraps I had in my stash. 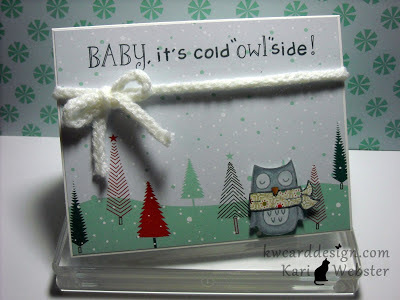 I wanted to customize my sentiment to say - "Baby, it's cold OWLside". I used both Sally's and Harold's ABC's. To finish the card off, I wanted to add some Stampin' Up Sweater Trim. 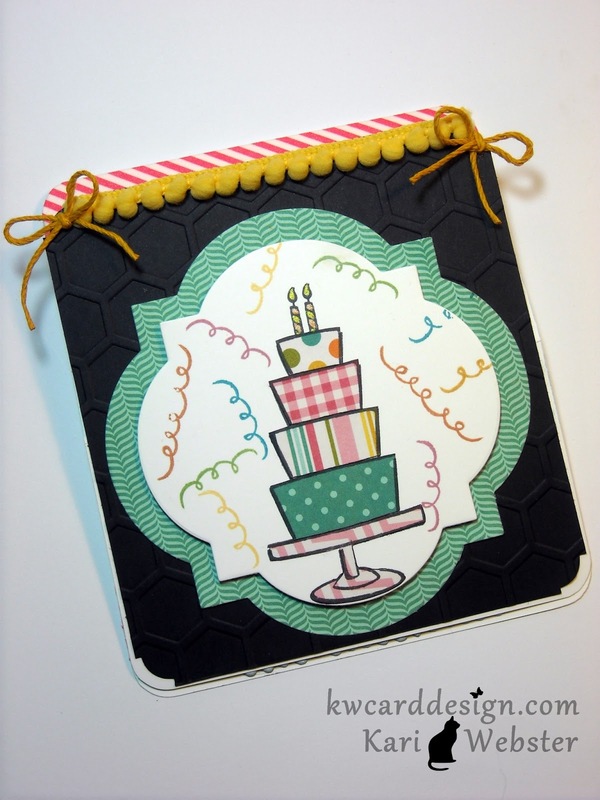 This trim is so soft! I love it. Where ever you are - I hope it is not too cold and if it is warm - feel lucky!! So far, the winter here hasn't been as bad as it has been in the past, which is good - I am not a winter person!!! Hi everyone!! So sorry I have been MIA lately on my blog. I know its been sparse, but it seems this happens to me every year after the holidays. 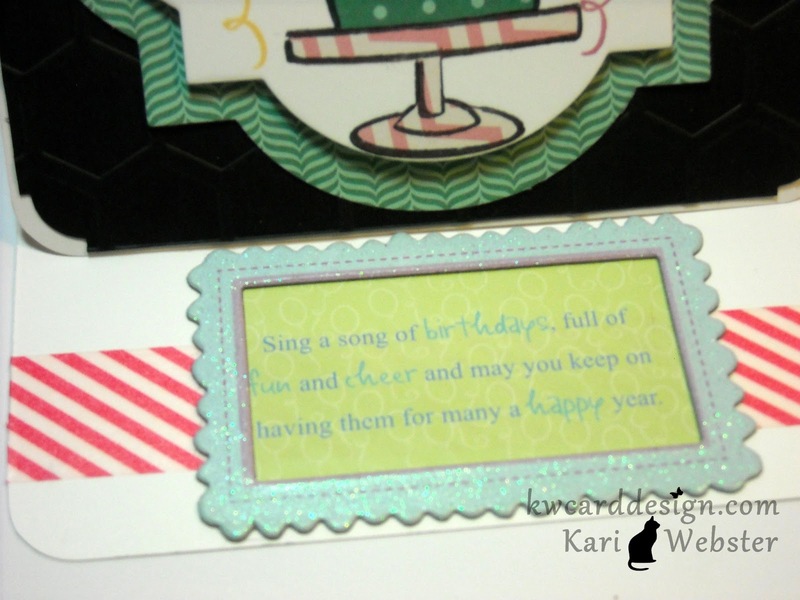 After making all of those holiday cards, and the hustle and bustle of the holiday season, I get in a crafty funk. I wanted to share with you my lately haul video - and hopefully seeing new goodies, it will get me going again. I did make a birthday card this afternoon, and I will share that with you soon, once the recipient receives it.